Torah scrolls ripped out of the ark and vandalized before being thrown on the floor and covered with cleaning solution in J'lem synagogue. Arutz Sheva visited the Siach Yisrael synagogue Tuesday afternoon to get a close look at the damage caused by vandals who broke into the building overnight. The synagogue, which is affiliated with the French immigrant community in Kiryat Yovel in Jerusalem, was broken into Monday night, police say, by vandals who targeted the congregation’s four Torah scrolls. 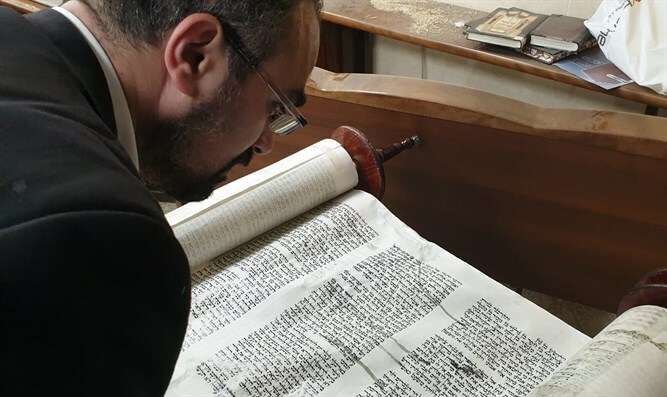 The vandals broke into the locked ark, removed the Torah scrolls and unrolled them before throwing them on the floor and dumping cleaning solution over the sacred texts. Prayer books and furniture were also vandalized.